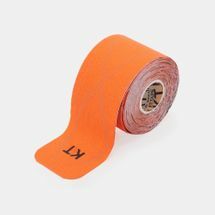 Designed to be lightweight and comfortable, KT Tape helps manage a ton of common injuries while having you forge on through the sweat, strain and injury – all while looking like a winner. Durable, water-resistant and resilient to the most rigorous workouts and treacherous terrains, KT Tape won’t let the pain, sweat or tears stand in the way of your victory. 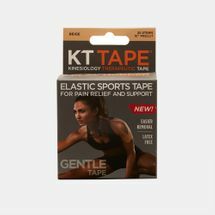 Browse the latest range from KT Tape and shop online with us today. Whether you’re a first-time runner or seasoned big league hitter, KT Tape gives you the confidence to keep going without the worry of pain or injury. 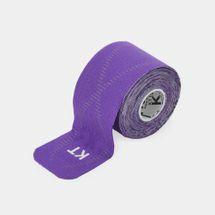 Built for stability without hindering motion, KT Tape is made of 100% cotton sheathes, while the KT Pro Tape is constructed out of specially engineered synthetic fabric for durability and strength. Acting on muscles and soft tissue, it provides support and creates a neuromuscular feedback that enables a stronger muscle push. This lets you feel the burn, not the pain. 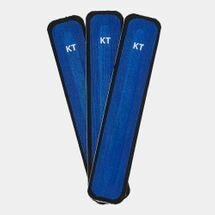 Extremely versatile, KT Tape for ankle support provides relief in strains and stretches through runs and basketball pivots. KT Tape’s complete knee support helps in managing injuries by balancing muscles and relieving pressure on the kneecap. Supporting one of the most-used muscles, KT Tape provides shoulder stability by taking the pressure off upper back muscles and letting the shoulders relax. While enabling recovery, KT Tape’s design ensures skin breathability so that it can be worn longer without any irritations. Need the pain management your muscles deserve? Shop KT Tape online at the Sun & Sand Sports online store and receive your order at home in Dubai, Abu Dhabi and across the UAE.